Yes. I know. It’s an ugly cake. And one should never wrap a plate in tin foil. I’m sure you also know as well as I do that Hong Kong is a transient city. Many friends happily come, and then very sadly, leave. Many of my best girlfriends have come and gone in this matter, scattered to all parts of the globe. And while on some days that saddens me, last Sunday was no such day. I was video chatting with VC (my bestest buddy who flew off with her hombre to Madrid), who loves to cook as much as I do (if not more), and we decided that distance cannot stop us from cooking together – OVER SKYPE! VC’s been wanting to try Ottolenghi’s Apple and Olive Oil Cake with maple icing, and as luck would have it, I have Ottolenghi – The Cookbook at home. And thus, the Skype Cook-Off was born! In preparation I went to Twins, a fabulous baking store which was recommended to me by CSB, the baker of the most magnificent Chocolate Torte I have ever eaten in my life, and hostess of the Belgian Birthday Barbeque a few weeks ago. Hers is most definitely the top food tip of the month, because this store is a mecca for baking goods. Forgive my excitement, but c’mon, madeline cake tins at $2.4 each?! Whoever heard of fresh vanilla pods at $11 bucks each – insane! I can finally make vanilla sugar without feeling too extravagant! 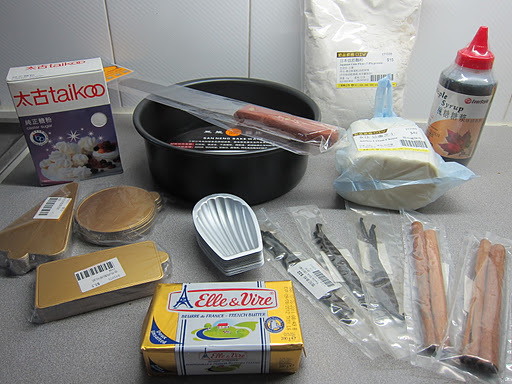 This store stocks almost everything (and at very reasonable prices) from baking and pie tins, electric mixers, cake gift boxes, high quality chocolate, decorative items, a huge selection of piping nozzles, all types of flours and sugars, high quality butters and cheeses…I could go on. At home, with all of my ingredients and equipment laid out on the kitchen counter, I signed into Skype and rested my laptop on the dish drying rack for optimum viewing. We whisked, we poured, we chatted and we gossiped. It was so much fun – I only wish the cake turned out as well as the conversation! 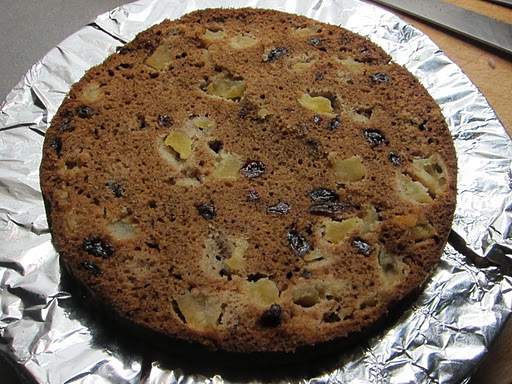 The cake was dry, not moist and fluffy as shown in the cookbook. 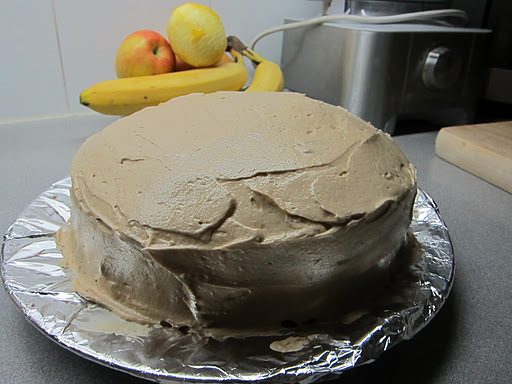 The icing was sickly sweet, and I wish that I hadn’t spread two layers of it, as called for in the recipe. VC was smart and only spread one layer of icing, but even then, the cake was nothing special – hey, you can’t have a blog where everything is perfection, sunshine and rainbows! Sometimes, things don’t turn out as you’d hoped. I COULD HAVE SWORN the recipe in the book says that we should bake the cake for 1 1/2 hours, but I’m in London and thus very far removed from my bookshelf right now. I’ve been looking at recipes online to find a good one to copy here for you, but I’ve noticed that some of them say bake for 1 1/2 hours, and some call for 45 minutes … what the…??!!! 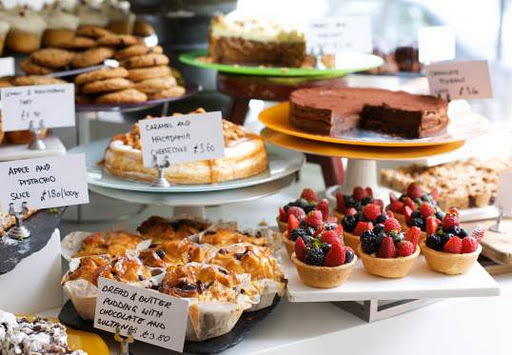 I went to the Ottolenghi restaurant in Notting Hill yesterday to crack this baking time case! Plus, I want to buy the latest signed cookbook, and perhaps treat myself to a vanilla and rosewater cupcake 🙂 I just love Ottolenghi – and even more so now that I’ve started cooking more dishes that are predominantly veggie. The restaurant is the brainchild of Yotam Ottolenghi, an Israeli who graduated from Le Cordon Bleu at 30 and subsequently abandoned his previous careers in academia and journalism, and Sami Tamimi, a Palestinian who grew up in Eastern Jerusalem. The ‘restaurant’ is small and white washed like an art gallery so that the focus is on the objets d’art: the large platters of food. 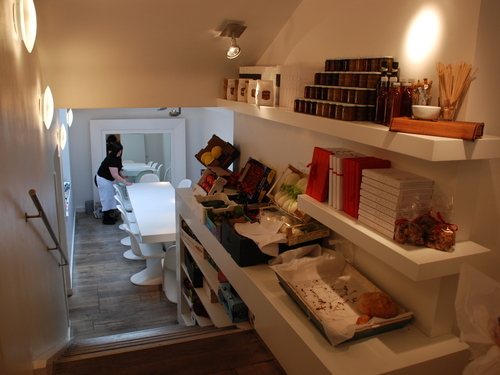 It only has one long table which seats 10 people, diners can either make their choices from the large variety of fresh, brightly coloured, mouthwatering platters to eat in, or you can grab a box to go. It is such a great concept, and the food is outstanding, including the Apple and Olive Oil Cake, which I had a slice of in the name of experimentation and progress – it was wonderful. Maybe I’ll give the recipe another try later…with a little tweaking…turns out the book does say 1 1/2 hours, but that’s really way too long..
Preheat oven to 170C. Sift the flour, cinnamon, salt, baking powder and bicarbonate of soda into a bowl. 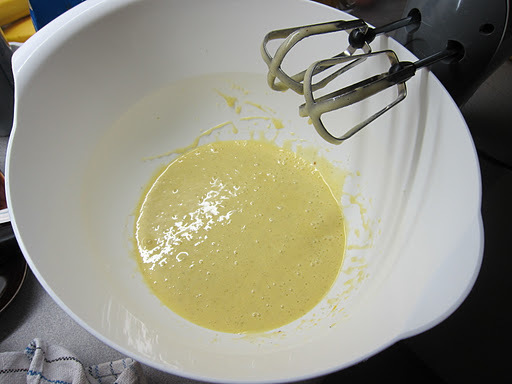 Meanwhile, whisk the olive oil, vanilla and sugar (preferably with an electric whisk) together until voluminous and smooth. Next whisk in the eggs, one at a time. 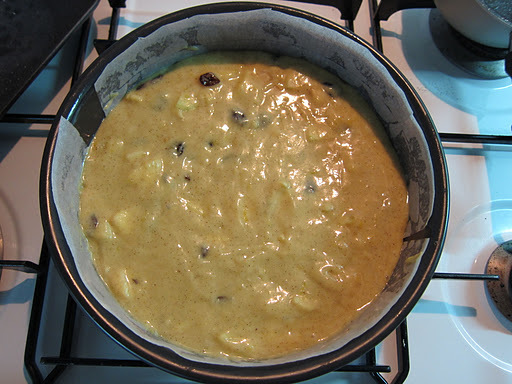 Stir in the apples and lemon zest and then the flour. 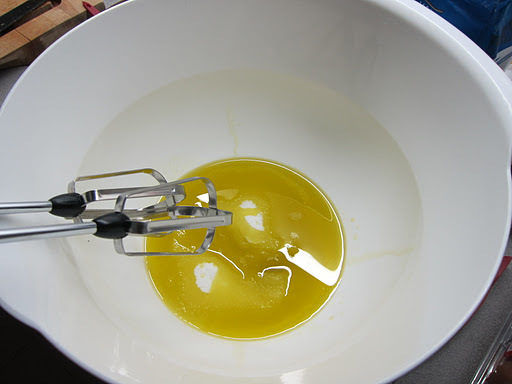 Whisk the egg whites until stiff and fold carefully into the cake batter. Grease and line two sandwich tins and bake for 45 mins until a cake batter comes out clean (I used one large tin then cut the cake in half). Once cooked, allow the cakes to cool completely before icing. To make the icing, beat together the butter and maple syrup and sugar until light and airy. Next add in the cream cheese and beat until it’s totally smooth (preferably with the whisk attachment). Use half of the icing to the sandwich the cakes together, and smooth the remaining frosting up on top. Posted in Recipes	| Tagged Ottolenghi, Ottolenghi - the cookbook, Skype, Twins Co.